It’s a funny moment for us gals when we realize we value the things our mothers and grandmothers appreciated. I’ve long loved coffee, reading, and The Judds. In my thirties, I’ve added quilts, teacups, and heirloom seeds. 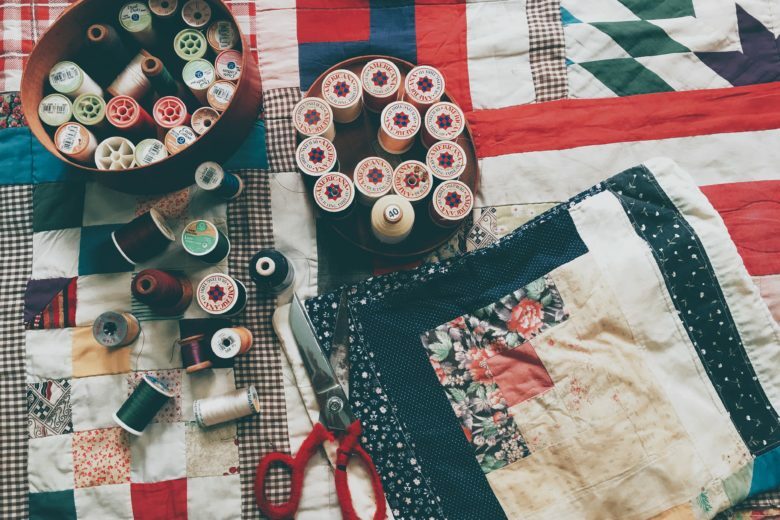 With stories stitched in every square, it’s no wonder families cherish granny’s quilts. From my own small collection, I see how a craft which originated out of necessity and frugality has infinite artistic possibilities. Thunderstorms pressed us inside on Saturday, and so I sat for a moment with an old book and older Julie Andrews movie in the background. I’ve tried to hang on to a piece of something from every place we’ve lived (these are a few of my favorite things…), such as a crock made in Danville, and salt and pepper shakers from Florida. I found this particular book in Bowling Green, tucked into the back of our garage in a stack of the previous owner’s throwaways. Kentucky Quilts and Their Makers by Martha Washington Clarke relates the perennially popular American craft which is, arguably, as vibrant today as it was 150 years ago. Even more than the book, I treasure a letter left inside, to “Dear Joyce,” with wishes of “Peace, love and joy” from Lee. On simple stationary, Lee recounts a recent visit to Joyce, her gratitude, and an offer/hope to visit again in the future. Handwritten and heartfelt, the letter between old friends is reminiscent of that vintage American art: the quilt. With speedy internet, convenient emails, and instant text messages, a phone call is uncommon and a handwritten letter is a rarity. Today, we purchase mass-produced blankets at Wal-Mart that barely resemble the irreplaceable, unique masterpieces our grandmothers labored in love to make. 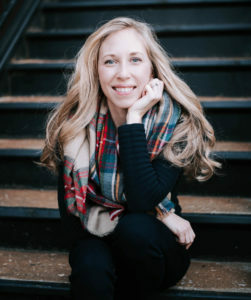 I’m full of confessions in this blog, and here’s another: I can’t even sew a button…and I have a great seamstress on speed-dial. Maybe someday I’ll learn how to piece together a quilt of Wade’s old shirts, our first curtains, or the good pieces of the kids’ raggedy denim. In the meantime, I’ll keep collecting quilts, learning about their storied patterns, and writing some extra letters. Hillbilly superstition claims the first person to sleep under a new quilt will have sweet dreams. Here’s to yours! May all our best stories keep us in stitches and be remembered in sweet letters.